Remember this sweater and leggings outfit I’ve been posting “sneak peaks” of for a while now?? So funny story…I have actually never worn leggings until I bought these. I have tried them on and even bought a pair once but never thought they looked good on me. 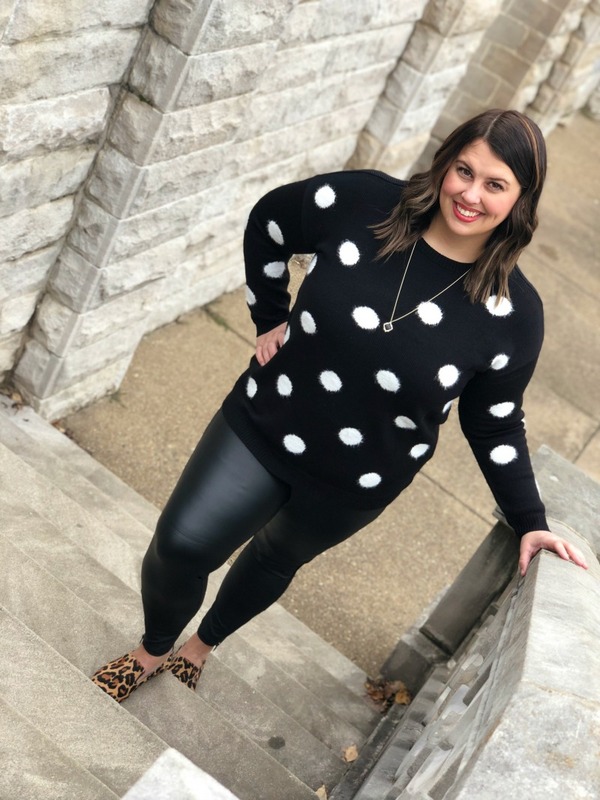 Fast forward to me losing 45 pounds and I finally decided to try again and these plus size faux-leggings are my jam!! I love them so much I have already purchased a few more pair (of regular leggings, not just leather/faux-leather)…oops! What can I say? I love the way they feel!! And I think they are very slimming!! Never thought I would say that…LOL!! 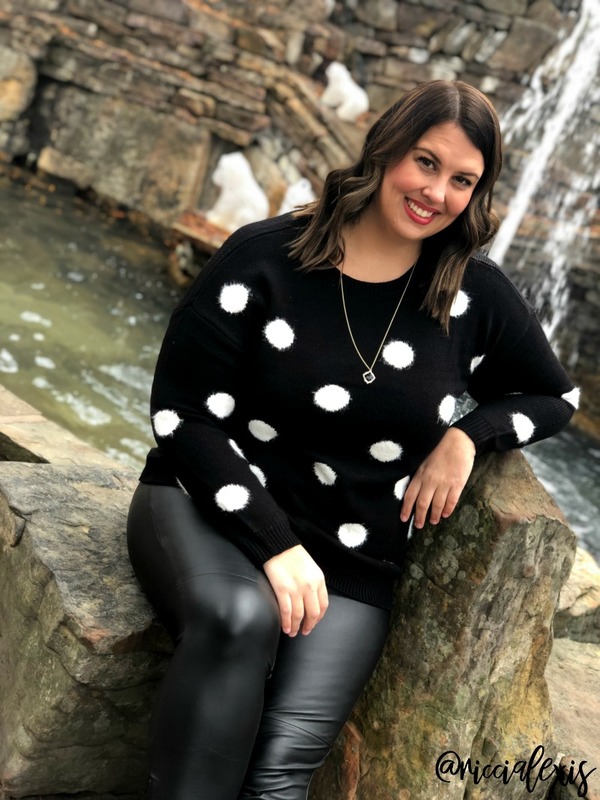 Anyway, here are some more shots of my favorite new plus size faux-leather leggings and my polka dot sweater!! I love the ankle side zips. I think they make these leggings look very “Sandra Dee” on Grease?! Do you see it? Just me?? HA! You can grab yours right here if you want them!! 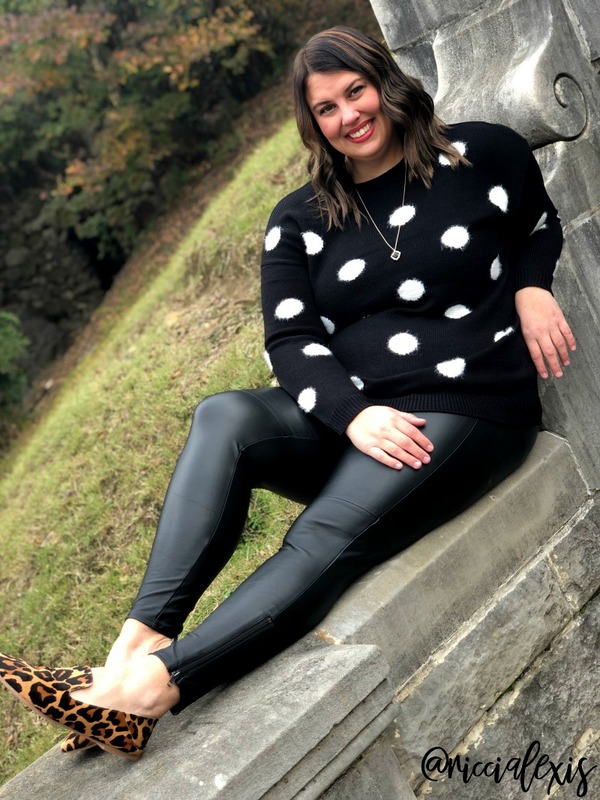 I have gotten several questions about my leopard flats and I am sad to say I got them last year and they are sold out! But I did find a few pair of dupes that I love! Here is a pair of Steve Maddens (under $100) and a pair of Sam Edelmans (under $150). Also- remember these slippers from Maurice’s?? They are ON SALE as well!! the whole site is $40 off $100! You should also check out this grey shearling vest…you can sort of see it in this pic but it is one of my FAVES!! It’s so warm and cozy!! And would look super cute with a pair of black leggings…wink wink! …you better grab it while it’s in stock!! 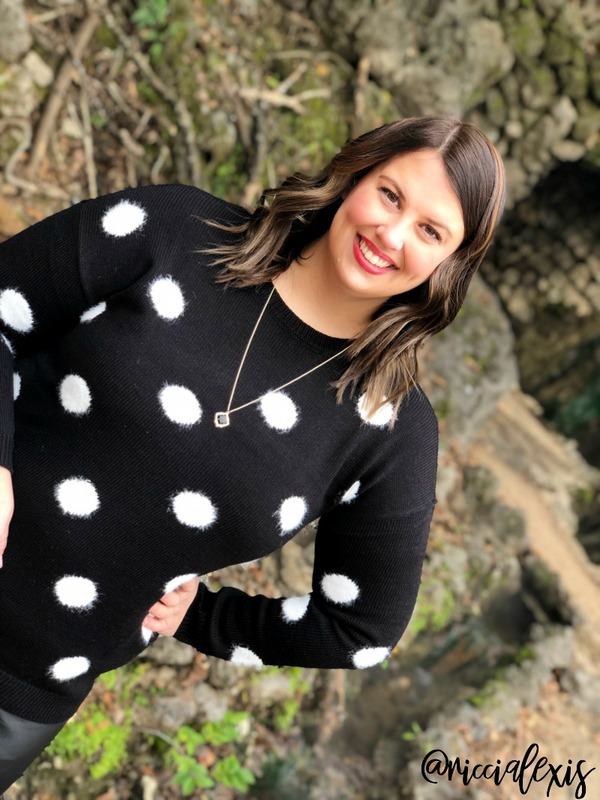 It comes in both regular and plus sizes! While I am talking about my favorite things I can’t forget about these jeans from Old Navy. The whole ON site it 50% off right now so if you are going to stock up on anything then this is the time to do it!! Since losing weight I have had the hardest time finding jeans that fit, don’t sag after a couple hours of wear and don’t cost an arm and a leg. Because who wants to buy expensive jeans if you (hopefully) won’t be wearing them for very long?! Am I right?? So here is my current favorite pair which I have in multiple sizes…HA! I usually roll up the hem when I wear them but they look great unrolled also. 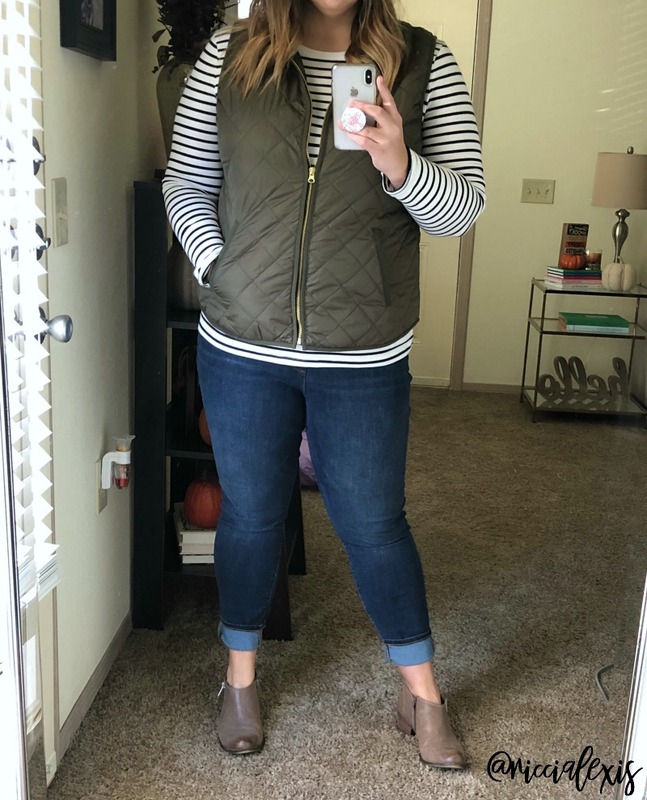 So if you are a plus size lady and have been looking for the perfect pair of jeans then you HAVE to try these!! OBSESSED!! 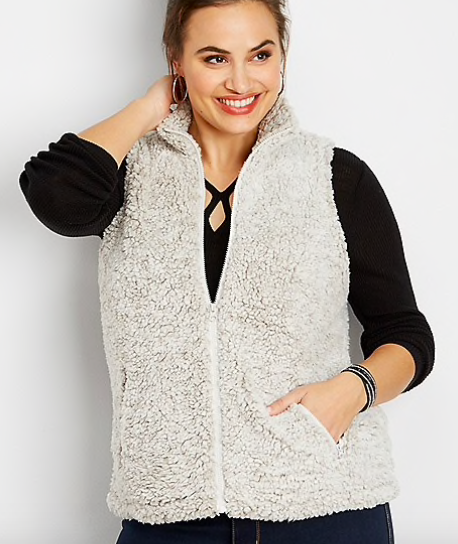 Oh, and my favorite quilted vest is on sale in multiple colors (although some colors are sold out in certain sizes) as well. You’re welcome! ULTA is having some pretty amazing door busters…we’re talking $10 mascaras, half price dry shampoo, etc. Their sale starts at 5pm CST. Sephora…I haven’t seen their ad yet but they usually have sales that rival ULTA’s. For me if just depends on which rewards program I want to use more. Target…their sale actually started Wednesday when they opened a few door busters up for card holders online. I have seen some great deals on electronics and toys!! Kohl’s….they have a great selection of home stuff (sheets, towels, kitchen gadgets, etc) and toys that are on my nieces and nephews Christmas lists!! Plus they are offering an additional 15% off plus $15 in Kohl’s cash for every $50 spent! J. Crew Factory…I love checking out J. Crew Factory for shoes and accessories!! They are currently offering an extra 50%-80% off everything online!! SCORE!! 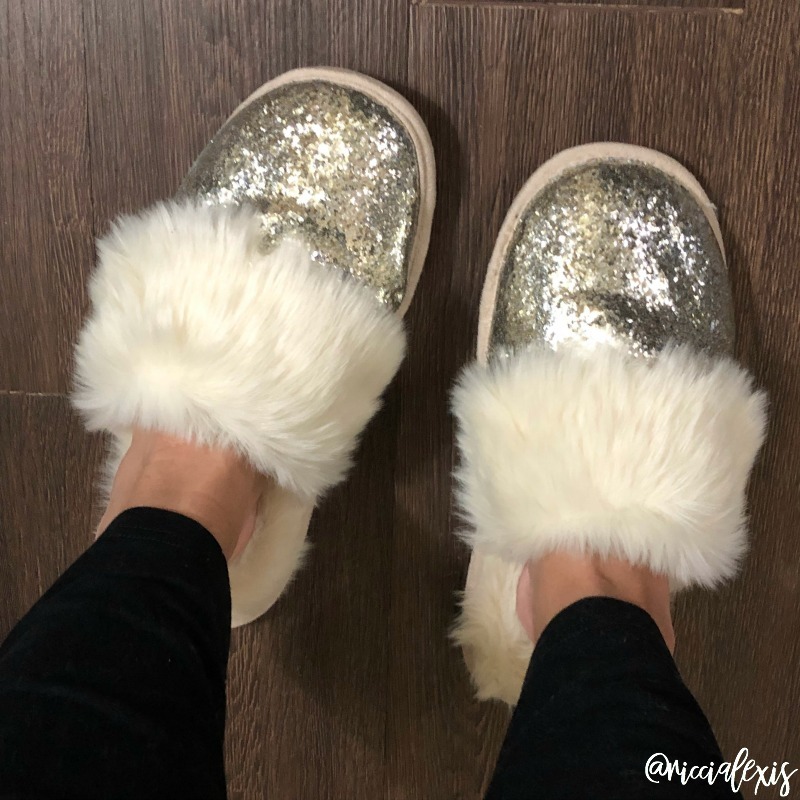 Nordstrom…I live for a good Nordy sale and they have marked some amazing pieces for Black Friday including Uggs, Tory Burch, Spanx, Barefoot Dreams and more!! Check it out!! 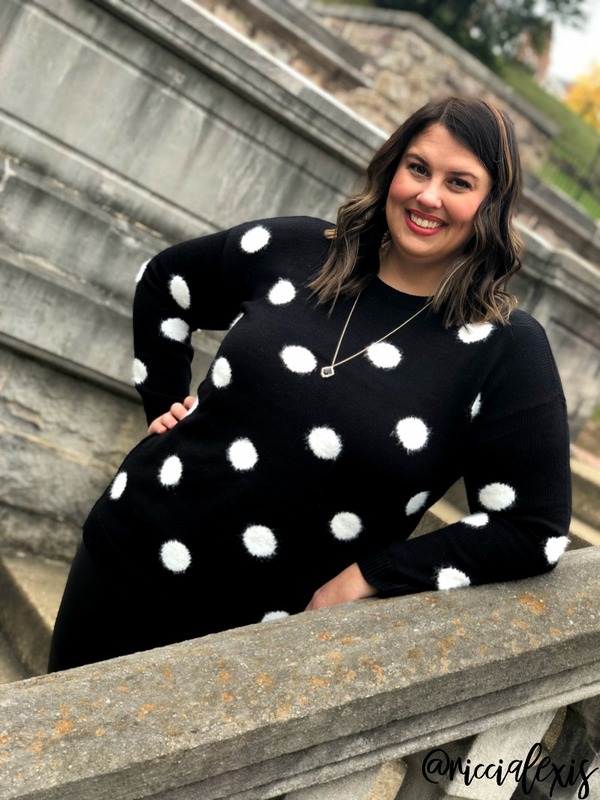 And don’t forget to check out yesterday’s post to see a more in depth look at Lane Bryant’s Black Friday sale…they also feature my favorite plus size faux-leather leggings! I hope you have a very Happy Thanksgiving and enjoy spending time with you friends and family as well as scoring some great deals today!! I love all of these pieces, they look adorable on you. I especially love the big polka dots on the first sweater. It is something that I’d love to own for myself. I can see why you are loving those leggings and paired with that sweater what a great looking outfit. Those slippers just look so warm and comfortable. Now that is such an amazing deal and I absolutely LOVE both of them! I would totally be picking up my purse and buying if they delivered here! Love your slippers as well. 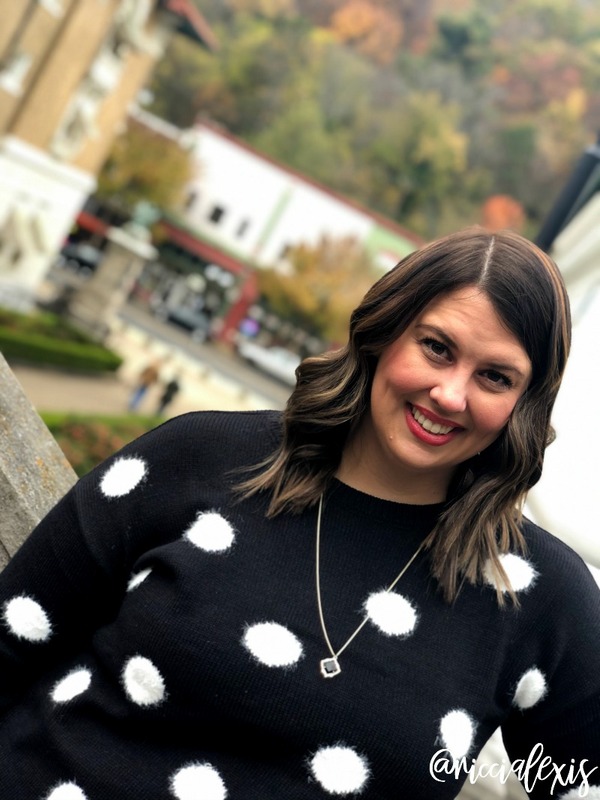 I love that sweater! Our winters are so cold, and so long, it’s nice to find some warm clothing that is cute and comfy. Thanks for sharing your info on Black Friday deals. I like the outfit you are wearing, it really suits you well. The best thing that you always wear though is your smile, happy Thanksgiving. I love your faux leather leggings! I actually just ordered two pairs from Black Friday sale :) so excited to wear them! Oh my god, I love those slippers! 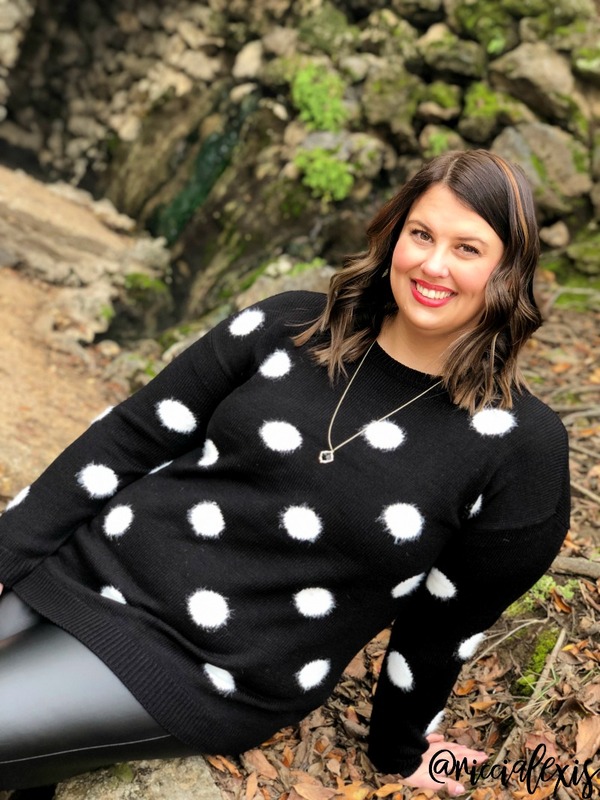 This is an amazing collection of plus size full leggings and sweater.